Excerpt: “Greek myths tell us that pomegranates, the fruit of Persephone, can guarantee a return to spring each year. And modern science tells us that pomegranates may indeed be a fruit of the Goddess in its capacity to alter cancer cell growth in a multiplicity of ways. 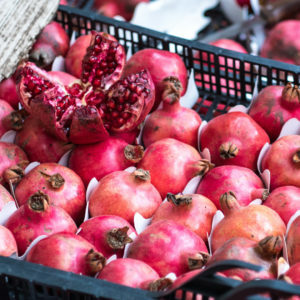 For the complete article, including the five reasons to include pomegranates in an anti-cancer diet, click here. For information on the anti-aging properties of pomegranates, click here.